Have a look at the updated training program! Please be aware that all sessions will be a minimum of 1 hour on water. Please remember that there is a small cost to participate in the Senior Surf Squad’s swimming session ($4). Hi-vis must be worn (no exceptions) for all ocean and lake training. Senior training is ONLY available for all those with SRC and above. For any sessions held on the lake can you please be available at the club either to load the trailer (15 mins prior to the commencement of the session) or unload (6pm). If you are going to come out for a paddle you MUST be a part of packing AND/OR unpacking the trailer. This program will be amended from time to time in the coming months. Please keep checking this page to ensure you remain aware of all training on offer. Surf Sports plays a major role in the preparation of surf lifesavers to meet the physical standards necessary for saving lives. Members can participate in a range of South Australian based competitions including Carnivals and State Titles. 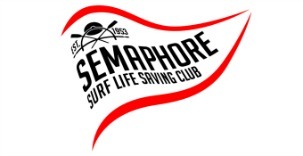 Semaphore SLSC also sends a touring team each year to the Australian Titles, where members have the opportunity to compete against clubs from all over Australia. For more information about each event .